Join the Tooele City Arts Council to create your own Christmas Garland! 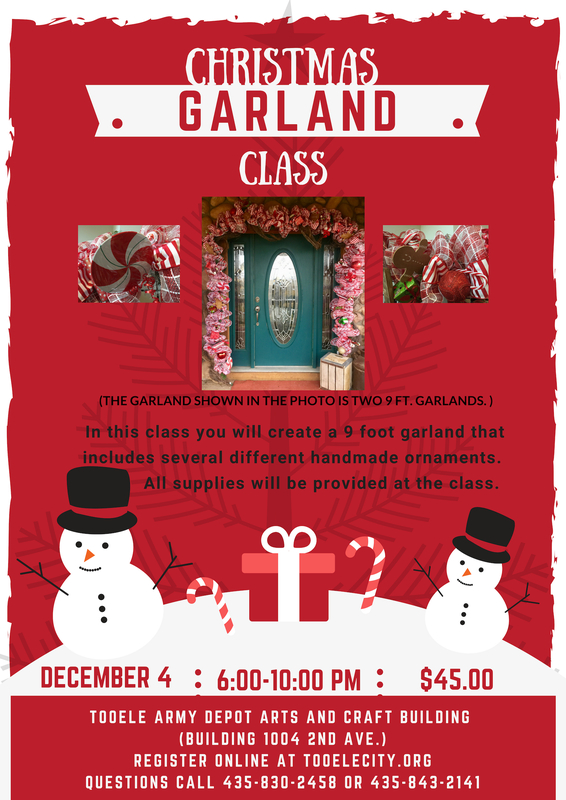 In this class you will create a 9 foot garland that includes several different handmade ornaments. All supplies will be provided at the class. Cost is $45. You much pre-register! Space is limited!